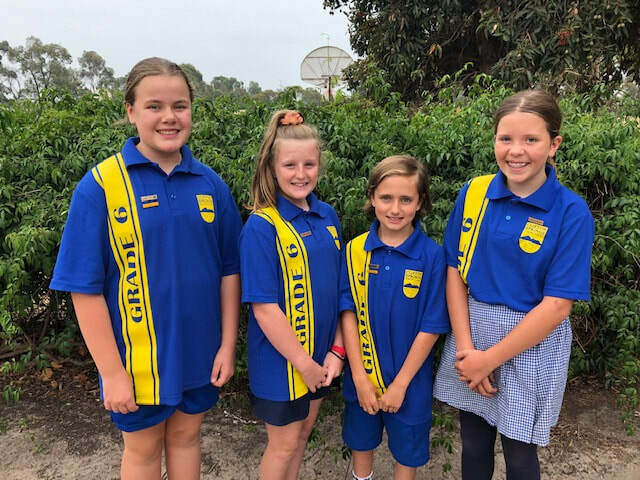 Hi, we are the four School Captains for 2019. We got selected by the 2018 School Captains and the Principal team. We got selected because we have been patient and because we show our 5 School Values (Respect, Responsibility, Empathy, Excellence and Innovation), at all times. We can't wait to show you even more improvements that we can make to CSPS. Each Friday at 3pm we have an assembly where we give out awards and talk about all of the special events and things that happen at CSPS. We hope to see you there! As leaders we want the younger students to look up to us and want them to be inspired by our actions. We would like to thank Ms Parker, Mr McCredden and the 2018 captains for selecting us this year. We learnt a lot from last year's captains. We will strive to do the best we can for our great school! Thanks for reading. We hope you enjoy CSPS as much as we do! Mahli, Belle, Kai & Ella.